Goodreads summary: "Jacquetta, daughter of the Count of Luxembourg and kinswoman to half the royalty of Europe, was married to the great Englishman John, Duke of Bedford, uncle to Henry VI. Widowed at the age of nineteen she took the extraordinary risk of marrying a gentleman of her house-hold for love, and then carved out a life for herself as Queen Margaret of Anjou's close friend and a Lancaster supporter - until the day that her daughter Elizabeth Woodville fell in love and married the rival king Edward IV. Of all the little-known but important women of the period, her dramatic story is the most neglected. With her links to Melusina, and to the founder of the house of Luxembourg, together with her reputation for making magic, she is the most haunting of heroines." I love Philippa Gregory as well! Loved her Boleyn series. I haven't picked this one up yet. Thanks for the great review. I don't know why I've waited so long to get it but will try and pick it up soon! The cover is so pretty... thanks for your great review! It sounds like such an interesting book and I love the way you rave about the author. I need to read some of her books!! I've read The White Queen, the first in this series, and I couldn't put it down! I need to get a copy of The Cousin's War so I can read this one! Thanks for the review. I can't read phillipa gregory cause her books are wildly historically inaccurate it dies be bonkers! I love Philippa Gregory as well! Loved her Boleyn series. I haven't picked this one up yet. Thanks for the great review. She is such a goddess! Great review! Have you noticed that her covers always look so stunning? Haha. 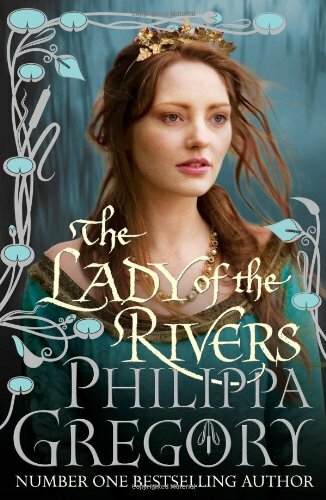 This was my first Philippa Gregory and I loved it! I will definitely check out her other books now. I'm reading The White Queen right now. I can't wait until I get to this one!